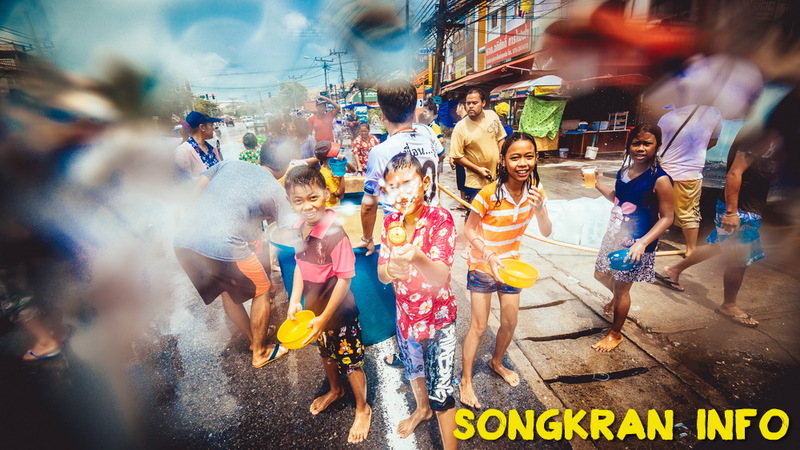 April is the hottest time of the year in Thailand, so the water splashing fun of the Songkran festival is always welcomed, by Thais and tourists alike. 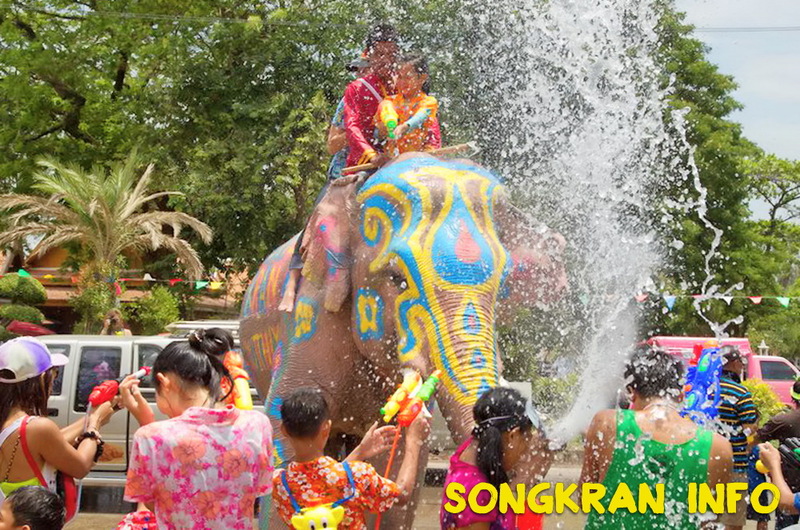 The kingdom’s most culturally important event, Songkran is a celebration of the traditional Thai New Year. Normally the celebration lasts for three days from 13 to 15 April, but this year there will be an extended break as 16 and 17 April falls on the weekend. 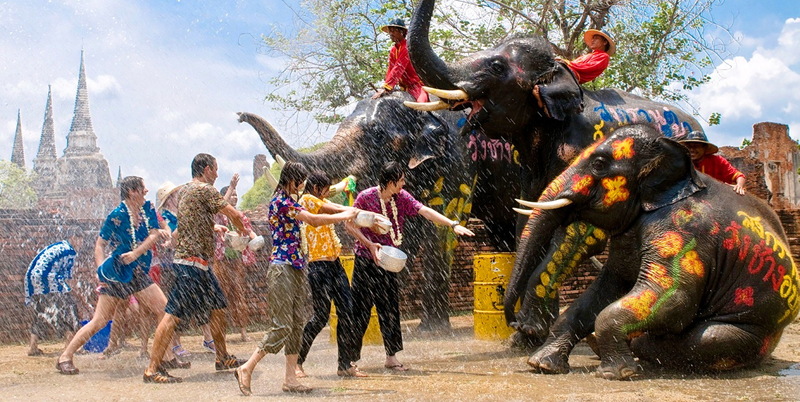 According to the Thai Buddhist calendar, Songkran literally means ‘astrological passage’. It can be interpreted as ‘change’ and ‘cleansing’, a time to usher in a new year and to purify one’s soul and also to do some spring-cleaning. It is also a time to enjoy family time and some fun and exciting festivities too. Don’t be surprised to see thousands of Bangkok-based Thais flocking to the bus terminals or joining the traffic for the long drive back to their home-towns to see their families and old friends to enjoy the Songkran celebrations together. Each province and each community has its own unique way of celebrating the festival, so the activities vary from province to province. To purify or bathe the Buddha or other statues, water should not be poured directly onto the head of the relic, rather on other parts of the statue’s torso. This is a unique ritual which for centuries has celebrated the significance of water in Thai culture and society as a symbol of purity, prosperity and happiness. The custom of pouring water onto the hand of elders’ (people above 60 years old), is to show respect and seek their New Year blessings. This custom is called the Rod Nam Dum Hua. Water used to splash on others should be clean or mixed with Thai traditional fragrances. Avoid using dirty water, cold or iced water on others. Also, do not use water mixed with sweet basil seeds, saku seed or any colours as they can stain clothes and cause irritation. Avoid throwing water aggressively or using high-pressure water guns or hoses. Women should be wary of wearing tight clothes or ones that are light in colour and/or made of thin fabric. When wet, such garments can become quite revealing and be offensive to some people. 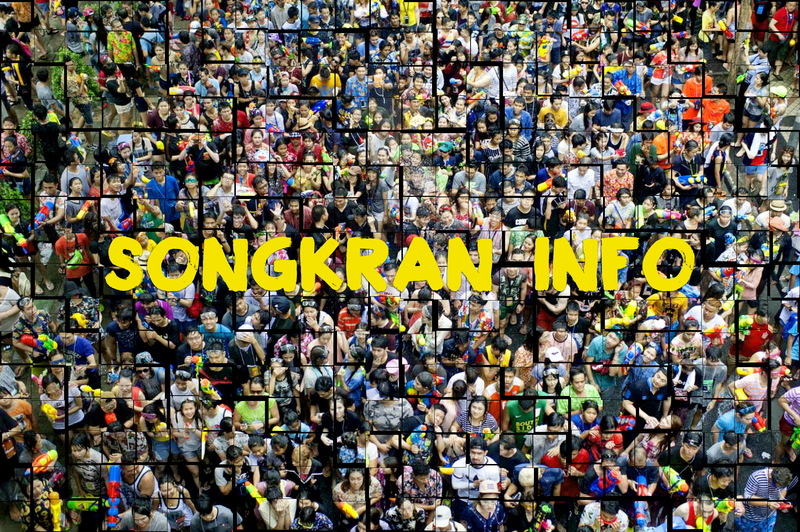 The ‘Songkran Splendours: The Procession of Three Kingdoms’ official opening of 2016 Songkran celebrations to be held on 10 April, at 15.00-18.00 Hrs., at the main stage of the Maha Jetsadabodin Royal Pavilion in Bangkok’s old quarters or Rattanakosin Island. The ceremony, to be presided over by Deputy Prime Minister General Thanasak Patimaprakorn, who will be accompanied by high-ranking government officials, will see colourful Songkran processions parading from the Maha Jetsadabodin Royal Pavilion, passing through Ratchadamnoen Klang Road, Ratchadamnoen Nai Road, Nha Phralan Road, and Maharaj Road to the Nagaraphirom Park near Wat Pho. 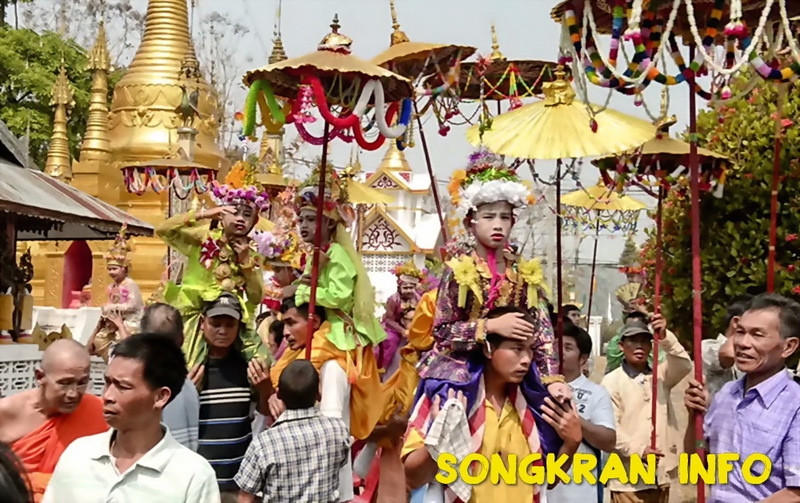 The procession shows how Songkran is an amazing part of the world’s heritage and teaches people about the Songkran festival and its seven beauty pageants. The procession is divided into three parts to tell the story of Songkran through the reigns of three of Thailand’s kings – King Rama III, King Rama V, and King Rama VII. The processions of the three kingdoms will also include mythological Thai characters from the murals of Wat Pho as costumed performers take on the guise of creatures from the Himmapan forest. There will also be seven beauty pageants. 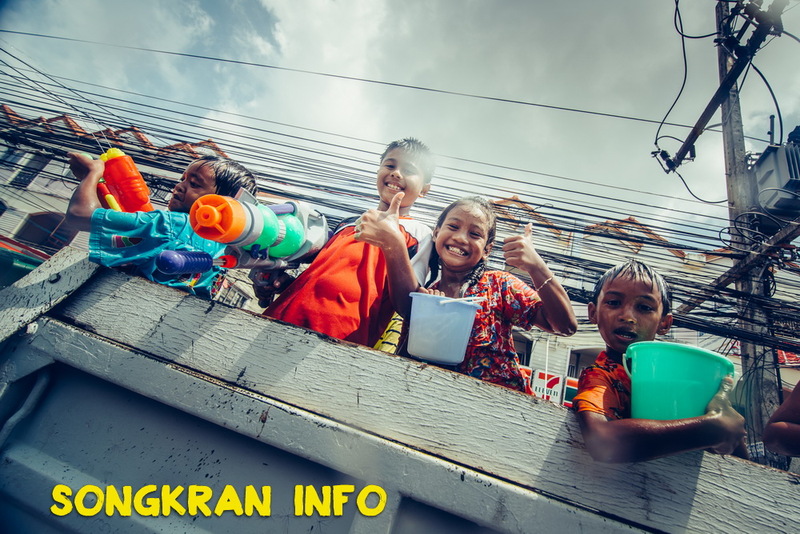 Following the three-kingdom procession, spectators will also be able to see how the different parts of Thailand celebrate Songkran with colourful parades of traditional Songkran traditions from five key regions. Representing the North is Lampang’s Salung Luang known for its ritual of parading sacred Buddha images around the streets to bring blessings to the people. From the North-east is the procession of ‘Dok Mai’ trees from Loei. These trees are made in the grounds of local temples and decorated brightly with flowers and bells before being carried in processions through villages. From the Central Region, is a Thai-Mon cultural procession, as seen in the Ratchaburi region, which celebrates the ancient culture and traditions of Thailand’s Mon people. From the Eastern Region will be a parade of Si Maharaja Rice Stacks from Chon Buri province. These large rice towers are built to propagate the gods at New Year. Finally from the south will be a Nang Dan procession from Nakhon Si Thammarat which celebrates the three main gods of the Hindu pantheon. Ending processions will be a celebration of the bonds between the Thai and Lao people through Phra That Phanom of Nakornphanom Province and Phra That Si Ko Ta Bong of Laos. In addition, spectators can enjoy many other activities, such as, an ancient market, Thai traditional plays, includes Lakorn Nok performances and a Royal Puppet show Wat Pho from 10 to 12 April, at 10.30-20.30 Hrs. For more information, contact: Tourism Authority of Thailand (TAT) at Tel: +66 (0) 2250 5500 ext. 3470-3 or call TAT Contact Centre 1672. The legendary Songkran celebration in Bangkok since 1931, Songkran Wisutkasat on Wisutkasat Road (Bang Khun Phrom intersection) is best known for being the origin of Miss Songkran Beauty contest in Thailand. The traditional festival has been held annually for over 70 years along with several other cultural activities taking place at the event. For more information, contact: Phra Nakhorn District Office at Tel: +66 (0) 2628 9068. Join the merit-making and cultural performances with the locals on Phra Athit Road and watch the parade along Suan Santi Chaiprakan Park, a recreational area along the Chao Phraya River behind Khaosan Road. Highlight is a ceremony where the ‘Phutta Bang Lamphu Prachanath’ image is taken from Bowonniwet Vihara Temple Suan Santi Chaiprakan Park for the public to pray to and receive blessings. 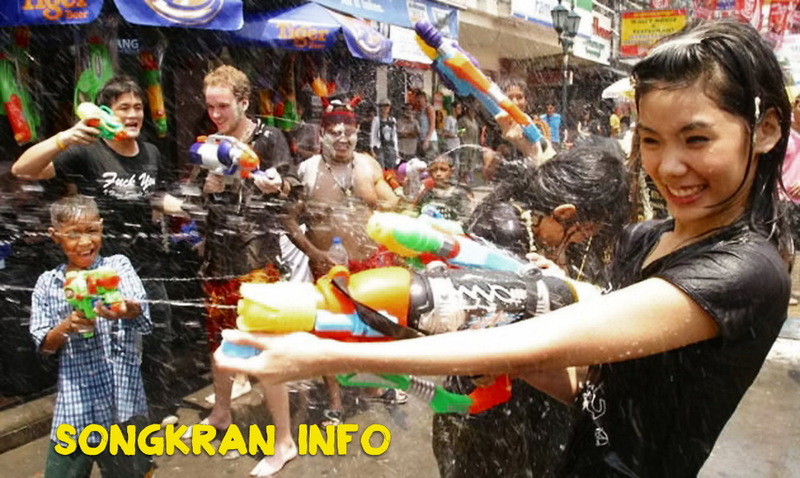 Experience the fun of water splashing, the modern style of Songkran celebrations with both the young locals and international travellers at the famous Khao San Road and Silom Road. For more information, contact: Phra Nakhorn District Office at Tel: +66 (0) 2628 9068 for Songkran on Khao San Road and Bangrak District Office at Tel: +66 (0) 2236 1395 for Songkran on Silom Road. The famous Phra Buddha Sihing image from the National Museum will be taken on a parade, on 12 April at 8.00 Hrs., around the Bangkok Municipal Administration to be installed at Sanam Luang for the public to bathe and pray to, this tradition only takes place once a year, for three days. The public will also have the chance to purify Phra Phuttha Sihing image as well as nine other sacred Buddha statues from famous temples in Bangkok with scented water. There’s also a mass alms-giving ceremony on 13 April to mark the beginning of the Thai New Year. 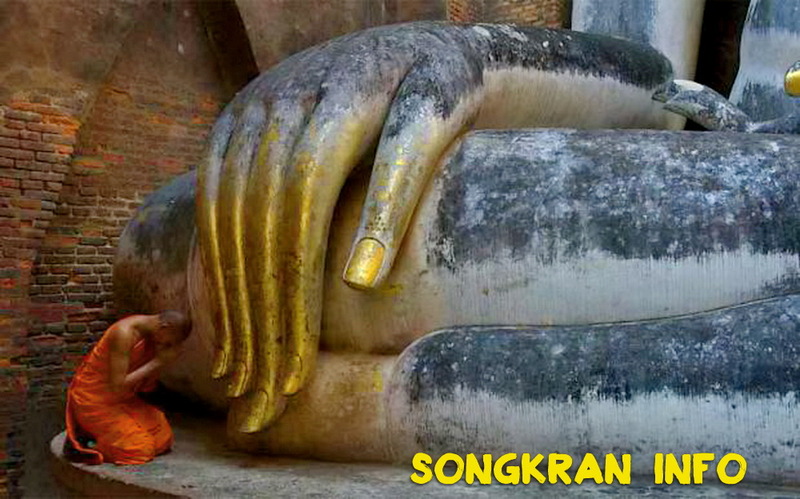 Phra Pradaeng in Samui Prakan is home to one of Thailand’s most famous Songkran celebrations. The ethnic Thai-Mon people of Phra Pradaeng, just in the outskirt of Bangkok, celebrate the festival at later dates than in the rest of the nation. Visitors can enjoy a procession of magnificent floral wagons, contests of Miss Songkran and Mister Loi Chai, as well as learn about the cultures of ethnic Mon through their folk plays and game of Saba. For more information, contact: Phra Pradaeng Municipality at Tel: +66 (0) 2463 4841 or the TAT Bangkok Office at Tel: +66 (0) 2276 2720-1. 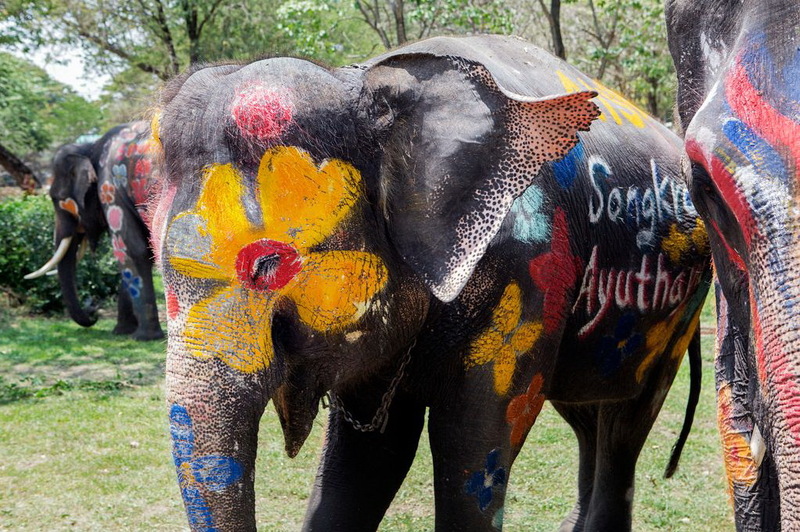 Sangkhlaburi in Kanchanaburi boasts a unique Mon’s Songkran celebrations. Highlights include the ceremony to purify the revered Buddha statues via bamboo pipes that can be kilometres in length, and the indigenous beliefs and practices of the local people of Sangkhlaburi where men will voluntarily lay down on the street to make a human bridge for monks to walk upon to the purifying area both before and after finishing the ceremony. The monks are then carried back to the temple by the village men. Join other merit-making activities; such as, bringing sand into temples to build the Mon’s sand pagoda, and bringing waters to giving an evening bath to elders who are observing religious precepts or rite in the temples. For more information, contact: TAT Kanchanaburi Office at Tel: +66 (0) 3451 1200, 3451 2500. Join the unique ceremony of Thai Puan ethnic group for the elephant parade and experience an ordination ceremony which will take place at Wat Had Siew, Si Satchanalai District, Sukhothai. Join the worshipping ceremony of Phra Maha Thammaracha I and the royal dynasty as well as enjoy the Lady Oi Tan – Miss Songkran competition and the Chang Pho Mueang parade at Si Satchanalai Historical Park. Join the Songkran festival and merit-making activities by bathing the local images with holy water at Thung Talayluang, Mueang district. There will be a Songkran and Food Festival at the main stage in front of Wat Sawang Arom, Sawankhalok district. 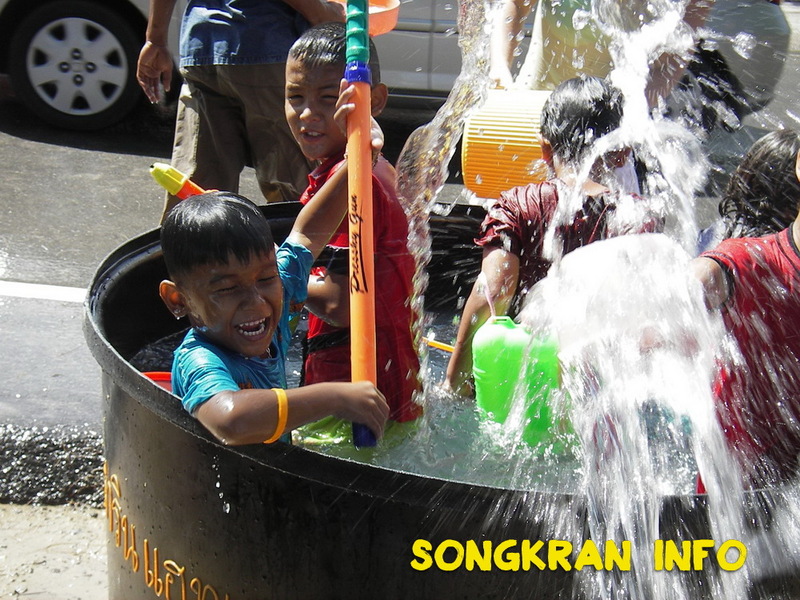 This is one of the most important of the regional centres for celebrating Songkran in Thailand. The celebration here is held to celebrate Sukhothai as an ancient capital of Thailand, and will be organised as a replica of what had taken places hundreds of years ago. People are encouraged to wear traditional Thai costumes to attend the event. Celebrate Songkran with flowery stripe shirts and water splashing fun at Khao Tok Sukhothai Road, Sukhothai Public Park. There will be Hae Nam Khuen Hong, Song Nam Chao Muen Dong – a local-style Songkran celebration to commemorate local hero Chao Muen Dong at his monument in Si Satchanalai district. For more information, contact: TAT Sukhothai Office at Tel: +66 (0) 5561 6228-9. 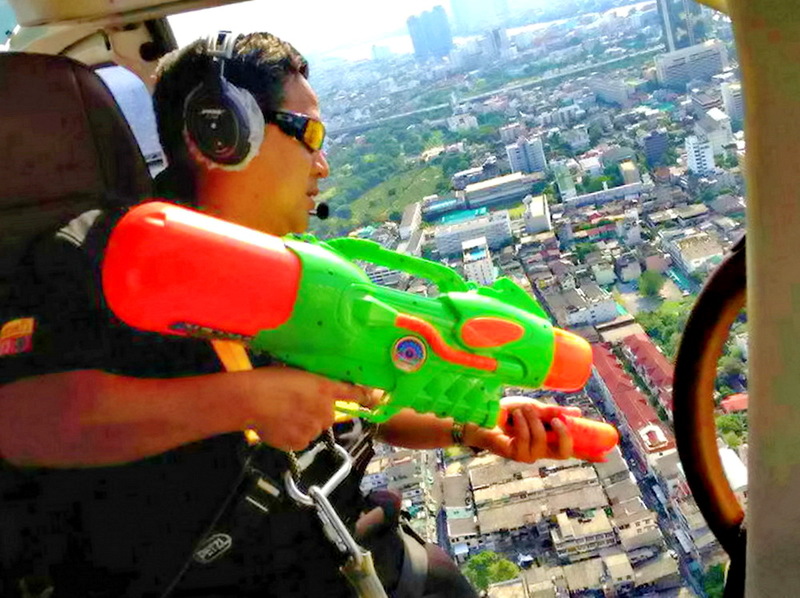 Chiang Mai’s Songkran Lanna, also called the ‘Prapeni Pi Mai Mueang’ lasts five days. Highlights include joining the procession of Chiang Mai’s prominent Phra Buddha Sihing image as well as bathing the image, and taking part in a parade bringing sand and Sali (the Bodhi tree) clutches to temples, cultural events and performances, international food festival and fun fair. For more information, contact: TAT Chiang Mai Office at Tel: +66 (0) 5324 8604-5. 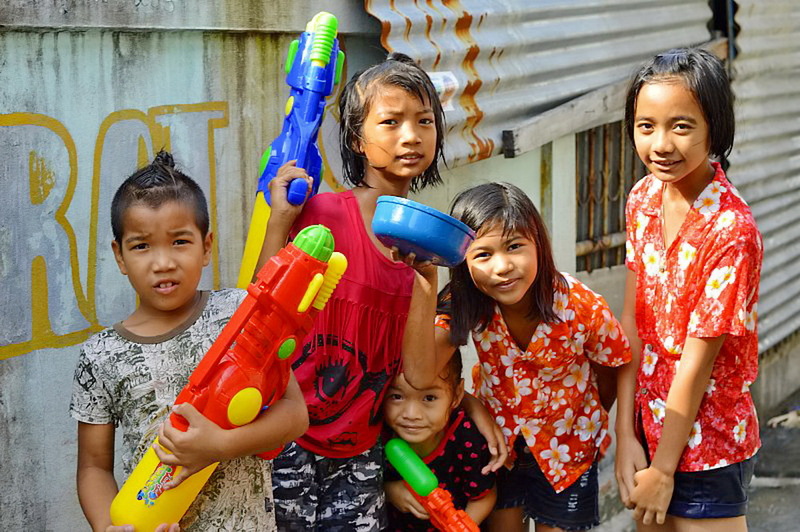 Pleasant Songkran, Thai-Laos New Year: Join the locals in the ritual of offering of sticky rice to the Buddhist monks, enjoy a ‘Saba Toy’ competition and a sand-pagoda building. Visitors can also pay homage to the Phra Thai, enjoy shopping in the ancient market, watch cultural performances and take part in the Songkran celebrations with seven ethnic groups of Nakhon Phanom. Renu Nakhon: Join the traditional celebrations of Songkran, see the ‘Phu Thai’ traditional dances and the ‘Bai Sri’ ceremony. There is also a Miss Songkran Phu Thai procession, chances to taste the local cuisine and learn of traditional ways of life of the ‘Phu Thai’ ethnic groups. A Miss Renu Nakhon beauty contest will be held on the Cultural Road, Renu Nakhon district. For more information, contact: TAT Nakhon Phanom Office at Tel: +66 (0) 4251 3490-1. Songkran Nang Dan Parade is another unique Songkran celebration where visitors can enjoy the colourful procession of ‘Nang Dan Mueang Nakhon’ which is a traditional ceremony based on Brahmin beliefs and welcomes the God Shiva God down to the earth. Also, join the bathing of the highly revered Phra Buddha Sihing image, join the Rod Nam Dum Hua ritual or the ceremony to request for blessings from the elders, enjoy local plays and ancient city tours as well as a light and sound presentation and cultural activities. The activities will be held at Suan Sri Thammasokarat and Abode of the Shiva God in the Mueang district. For more information, contact: TAT Nakhon Si Thammarat Office at Tel: +66 (0) 7534 6515-6 or Nakhon Si Thammarat Municipality at Tel: +66 (0) 7534 2880-2. Ayutthaya Historical Park (13-15 April): The only place in the world where visitors get the chance to enjoy water fun with elephants! Other activities also include merit-making activities, bathing the Buddha image, building sand pagoda, and enjoy traditional Thai dances. For more information, contact: TAT Ayutthaya Office at Tel: +66 (0) 3524 6076-7. Join locals in celebrating Songkran, merit-making activities around town, enjoy the Miss Songkran pageant and elaborately decorated floats and elephant parades, and many other religious and cultural activities. For more information, contact: Ayutthaya Municipality at Tel: +66 (0) 3525 2168. At Wat Thong Bo, Bang Pa-In district, visitors can help to bathe the local Buddha images using bamboo tubes and enjoy cultural procession of the Thai-Mon ethnic groups. There will also be Mon-style merit-making ceremonies during which sacred cloth is put around the main chedi of Wat Thong Bo. For more information, contact: Baan Pho Sub-district Administration Organisation at Tel: +66 (0) 3535 0125. 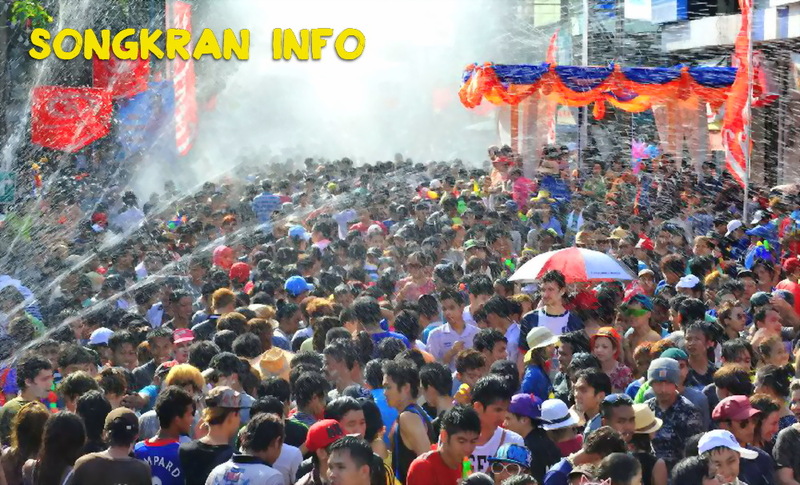 The biggest venue for Songkran celebration is on Nane Kaew Ton Tai Road, in front of the Suphanburi bus terminal. Join the procession of the highly revered Luangpor To, the sacred golden Buddha image of Suphanburi which will be paraded around town. Enjoy cultural, merit-making and fun-filled activities, shopping and food fair throughout the event. Bathe the revered Luang Por Phra Sai Buddha image as it is paraded along Jenjobtid Road through the Naga fountain on Prachak Road to Wat Pho Chai the Royal Temple in Mueang district. The procession of Luang Por Phra Sai is held only once a year for worshippers to pay homage to this sacred Buddha image of Nong Khai people. Bang Saen: the unique Songkran celebration in Bang Saen is called “Wan Lai.” Traditionally, it was a New Year celebration for local fishermen. Among the traditional merit-making activities that continue to this day is the sand pagoda building which today has become an annual competition. Several other fun activities such as sea boxing, folk plays, and water splashing fun can also be enjoyed. 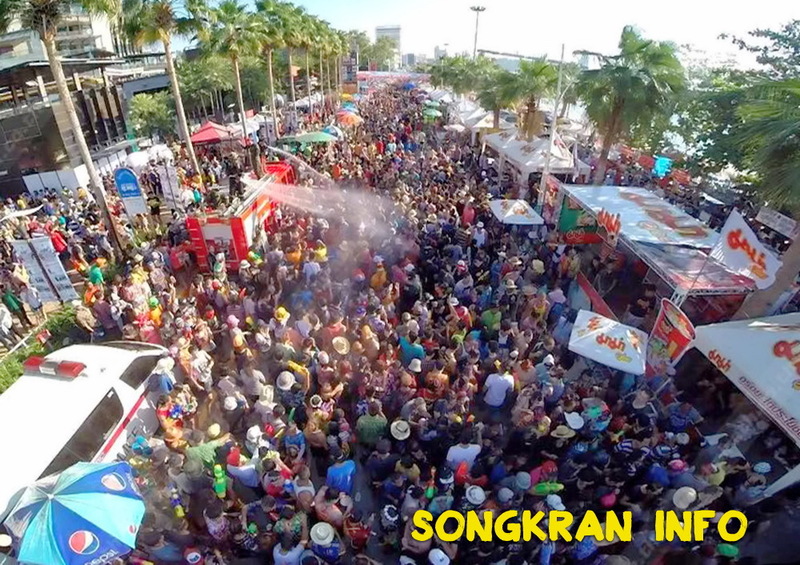 Other places around Chonburi: fun venues for Songkran celebrations also include Ko Sichang (at Phra Buddha Sihing hall), Bang Phra Beach, Sattahip, Pattaya beaches, Na Klua, and Sri Racha. 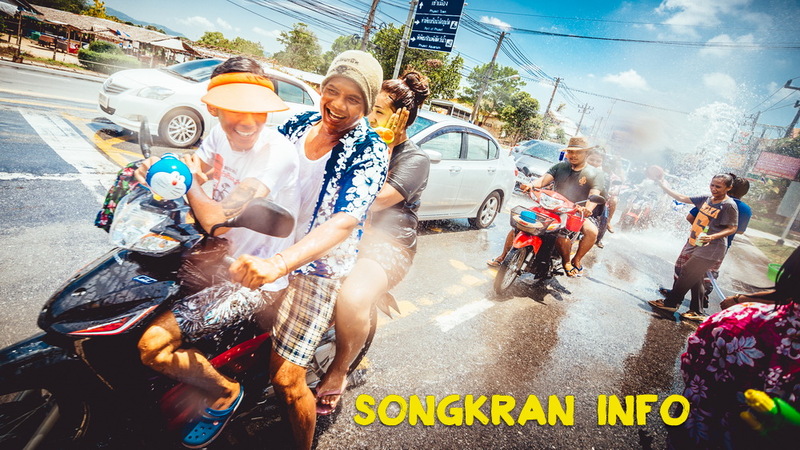 The ‘Dok Khun, Siang Kaen Songkran and Khoa Niew Road Songkran Festival’ of Khon Kaen is recognised for its exciting and joyous Songkran celebrations. Highlights take place on Khao Niew Road with a lot of exciting and fun activities as well as a floral parade, traditional Isan-style dance, enjoy the fun of water splash to the max, stage shows and performances throughout the event. 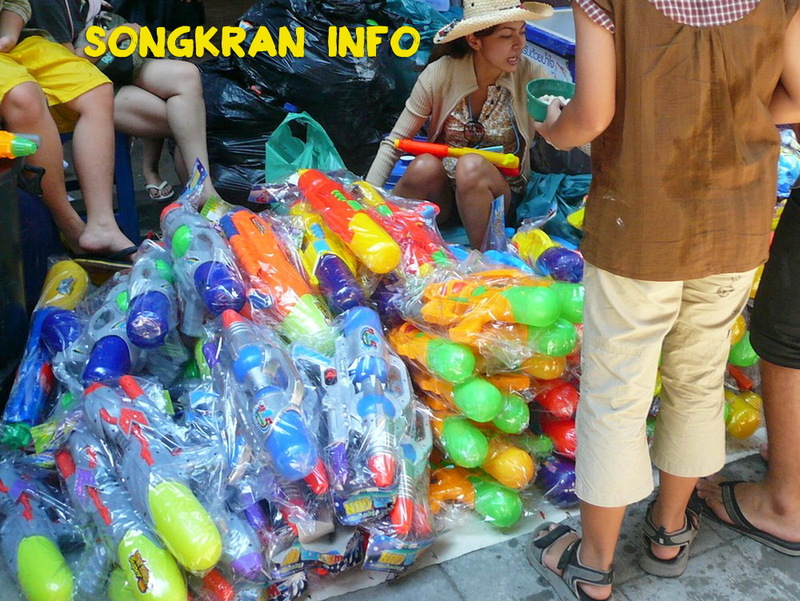 Patong Beach: Join the local people and tourist folks at Phuket for “Songkran on the Beach” at the famous Patong beach. There will be several merit-making activities such as Rod Nam Dum Hua ritual, the parade of Phra Budha Sihing image, cultural shows, and various competitions and fun-filled entertainments. Hat Yai Midnight Songkran: This is the only place in Thailand to celebrate Songkran at midnight. 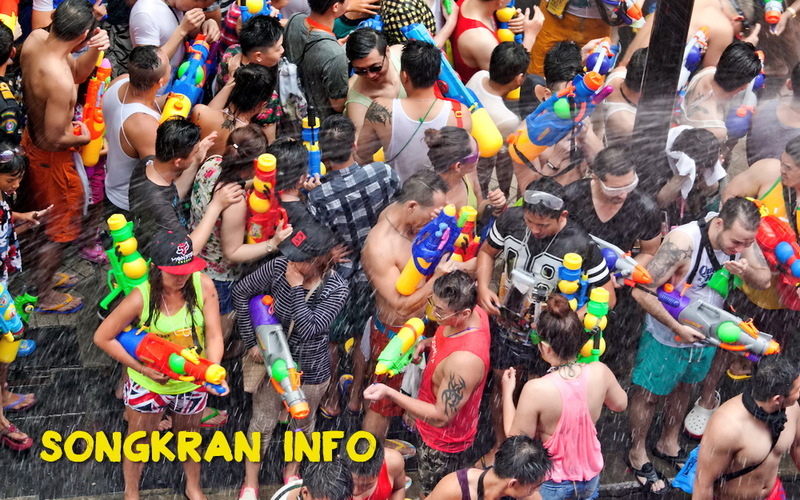 Enjoy the full fun of Songkran from midday to midnight with various merit-making along with fun-filled activities including a Songkran procession, Phra Buddha Sihing parade, local sports, a Miss Songkran contest, shows and various entertainment. Koh Samui: Highlight includes the water play along Chaweng Beach Road, the ‘Rod Nam Dam Hua’ ceremony, and Samui Muay Thai Angels matches. Updates on the exact dates at each of the following locations which will be provided once they become available. But in general, the dates should be from 13-15 April. Phra Buddha Sihing image from Wat Phra Singha will be taken on a parade for the public to bathe and pray to. Join the procession of Miss Songkran, sand pagoda building contest and a range of fun-filled local shows. ‘Salung Luang, Klong Yai, Pee Mai Mueang Lampang’, experience the celebration in traditional Lanna style at Lampang, enjoy strolling and shopping in replicas of cultural villages and ancient markets, bathing the Buddha image, ‘Salung Luang’ procession, a Miss Songkran contest, a floral horse-drawn carriages competition, cultural shows, light and sound performance, OTOP products sale and exhibitions. Join the procession of the Buddha image and Miss Songkran as well as enjoy various fun-filled activities including Songkran fancy parade, local sports, and cooking demonstration of local snacks and sweets. 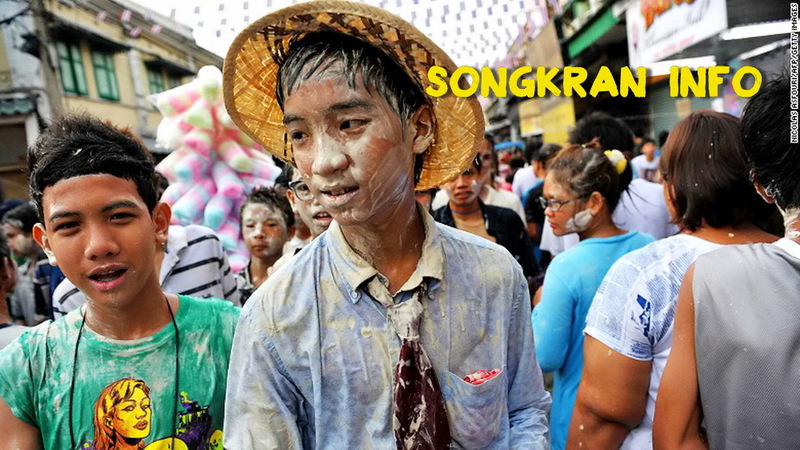 Join the Thai-Myanmar Songkran celebration on the banks of Moei River. Highlights include the Muay Kaad Cheuk matches between Thai and Myanmar fighters. This is an ancient Thai martial art in which the fighters wrap their fists and forearms in hemp rope and strike using fists, elbows and knees. The city of Pattaya, situated amidst rice fields, prays for rain during Songkran, and there is a parade that ends at the Beach Road where cultural events take place. The fun part is that it ends with the grand finale of a water fight! Lan Bodhi Park Na Kluea and Chon Buri host some of the best celebrations.